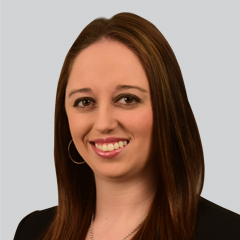 Rachael is the Corporate Communication and PR Manager at ALM and is in charge of managing and maintaining internal and external communications and media relations initiatives for ALM’s various business divisions. Additionally, she manages ALM’s corporate social media channels and helps provide social strategies across the business. Rachael previously was an account executive with JConnelly (formerly JCPR), assisting with media relations and social media support. She also served as an account coordinator and an intern for two-plus years of her time there. In addition to her agency experience, she has marketing knowledge from the staffing industry, as well as time spent at Verizon assisting in promoting Verizon’s HopeLine program. Rachael received her Master’s in Interactive Media from Quinnipiac University and has an undergraduate degree in PR. She is also a social media manager and board member of Family & Community Services of Somerset County, a local nonprofit organization in New Jersey supporting mental health and addictions-based patients.